Rega's approach back then was to utilize a simple plinth design that was low in density with a bonded aluminum top that would shed vibrations before they reached the arm and platter. Alas, this design was prone to larger "floor vibrations" and required a substantial stand to effectively isolate it. Rega's solution was to bolt a metal frame to the wall, which worked well with "brick walls", but with timber-frame construction it failed to provide a complete solution. 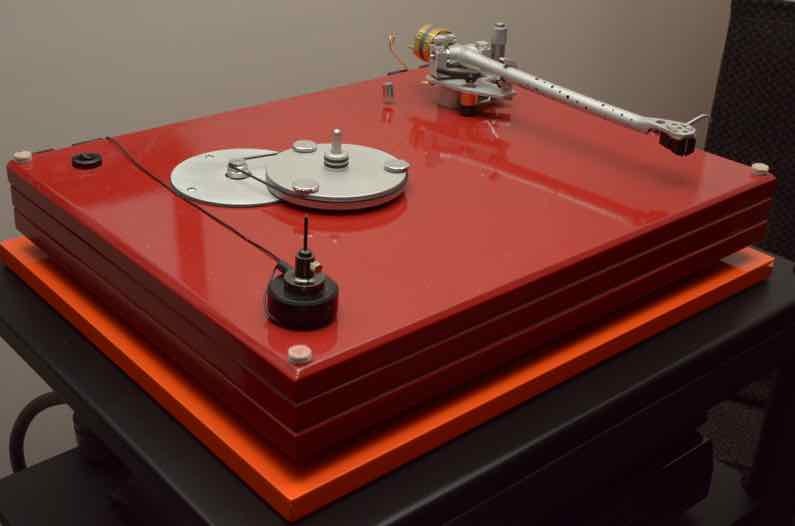 Since that design, Rega and other manufacturers have adopted the original simplistic Rega design format, but using materials like MDF to build plinths that are acoustically inert. The plinth is supported by three of these feet with a modification to imbed them into the underside of the plinth. The feet have been located such that the points at which the arm and platter bearing are attached to the plinth sits in the "null point" of any residual vibrations. 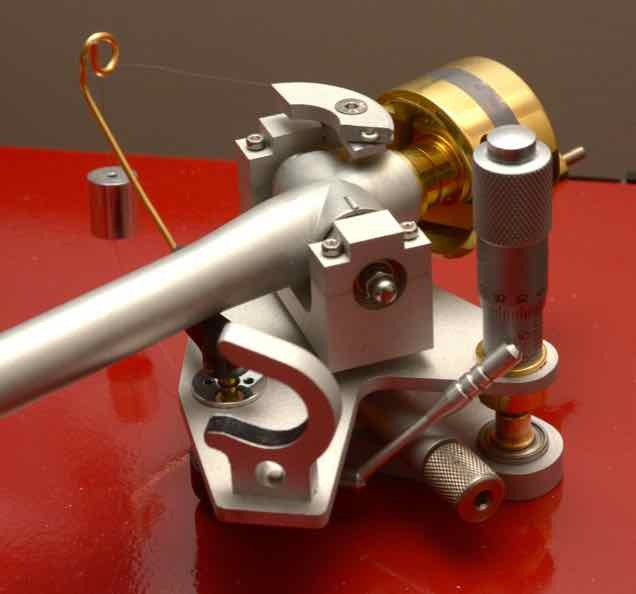 The original "S shaped" arm was originally replaced by a Rega RB250 tonearm with the addition of a Cardas Incognito one piece loom, but the latest addition is an Audiomods Series 3 tonearm pictured here (also see Audiomods "Classic" Tonearm Review). 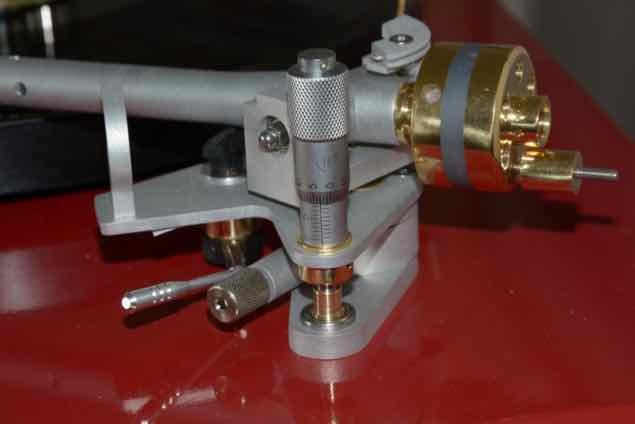 This arm uses the RB250 arm tube and that’s where all similarity to the Rega arm ends! This shows the micrometer VTA adjustment which allows for repeatable adjustments and more importantly, resetting back to the original state. The counterweight is “drilled out: to lower it’s centre of gravity and has an additional fine tuning adjustment weight for very accurate setup. Set the pin touching the front of the front of the cartridge. The original Sub-platter has been replaced by the ISOsub GT 2 S UPGRADE SUB PLATTER and ceramic bearing from Isokinetic. Note: the three brass spacers in the photo are required to elevate the platter above the central spigot so the platter can be used without a turntable mat. The only original parts left from the Rega Planar II is the switch and the cover! 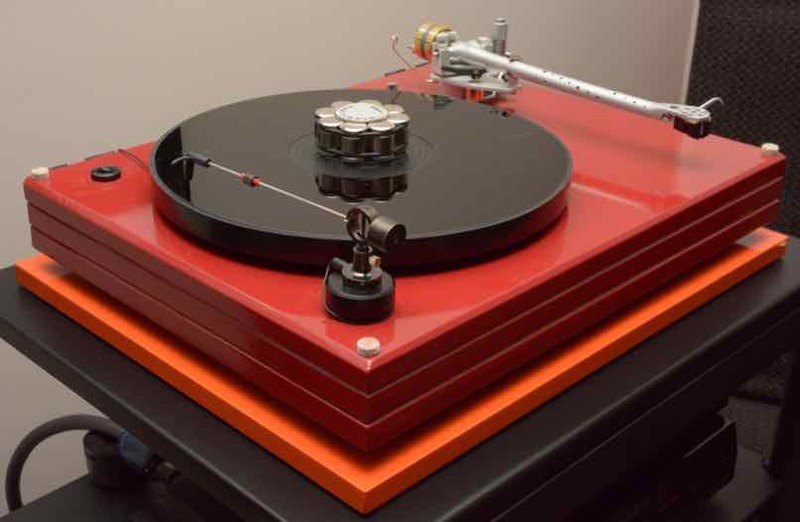 These "tweaks" have elevated this turntable to a performance level that rivals many higher-end models. I could have purchased a new turntable for the price I have paid out on these upgrades - but the outcome of this exercise has been very enlightening and increased my knowledge pertaining to the important elements of good turntable design and I feel the turntable performance exceeds any turntable of that price by a considerable margin. So, what improvements did each tweak make? SRM/TECH Deluxe Acrylic Platter - in combination with the Sub-platter the Acrylic Platter has made huge improvements to the details and 3D image to a level I had only heard on turntables costing substantially more.